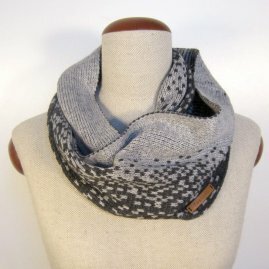 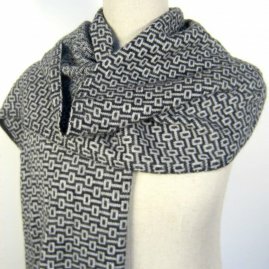 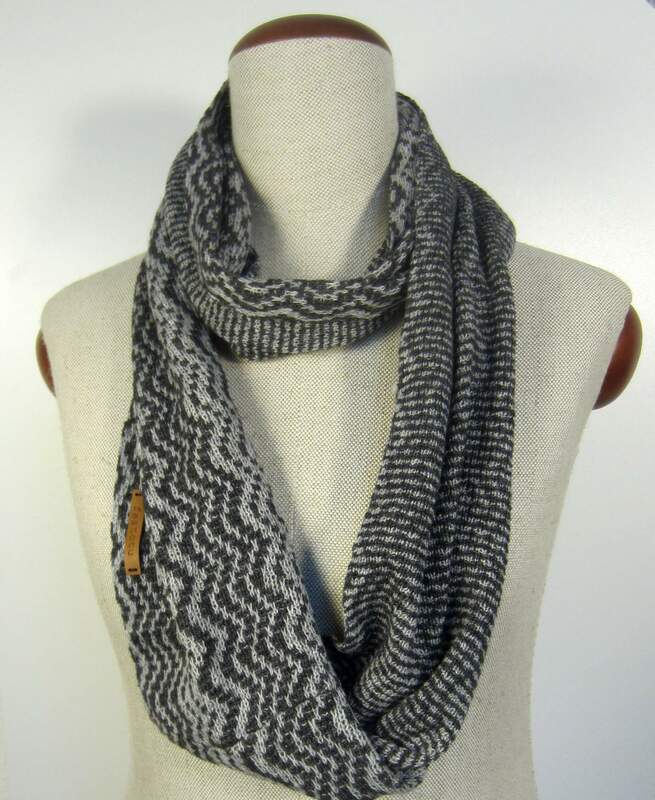 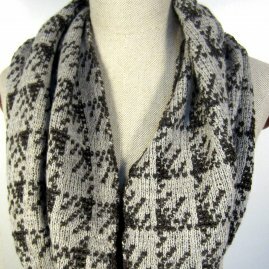 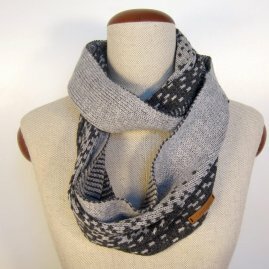 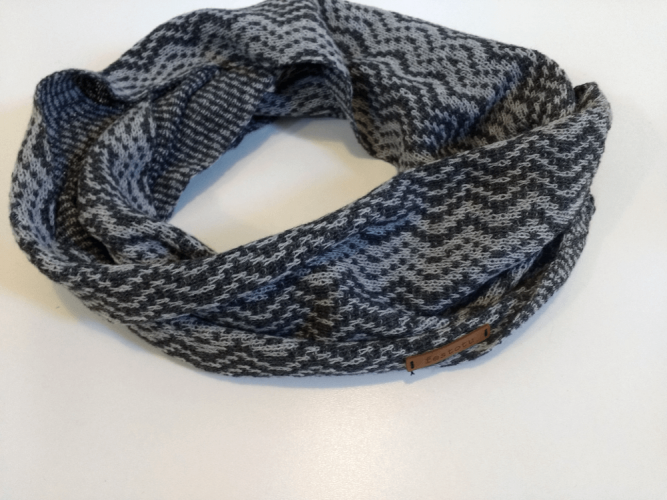 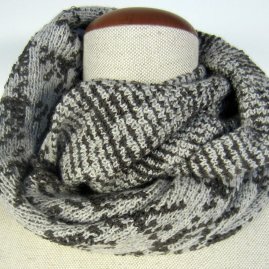 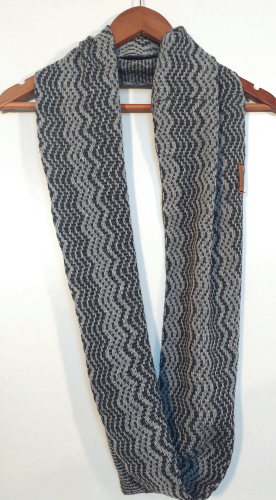 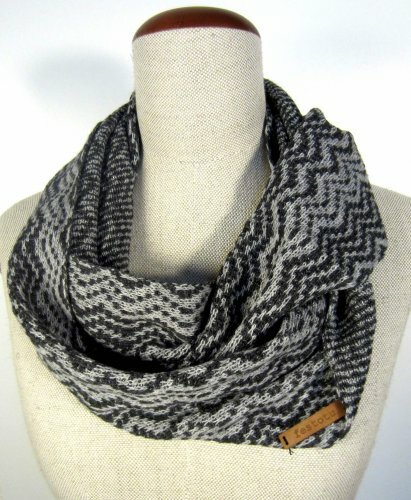 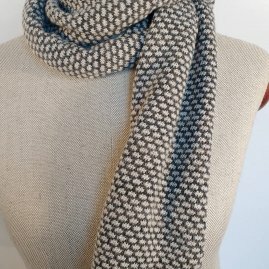 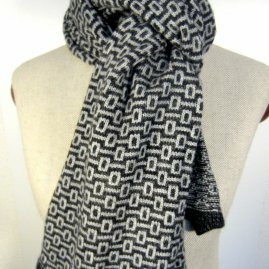 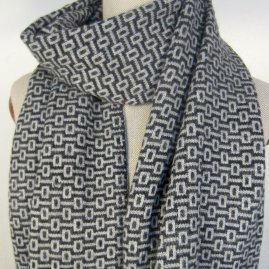 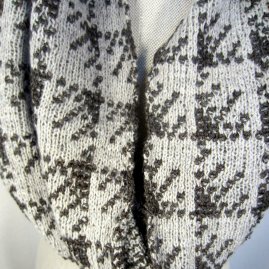 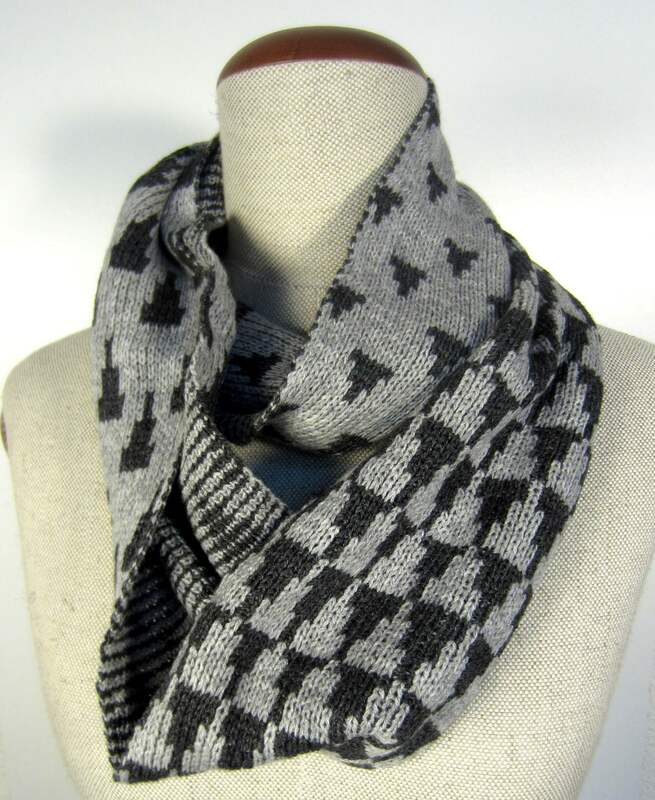 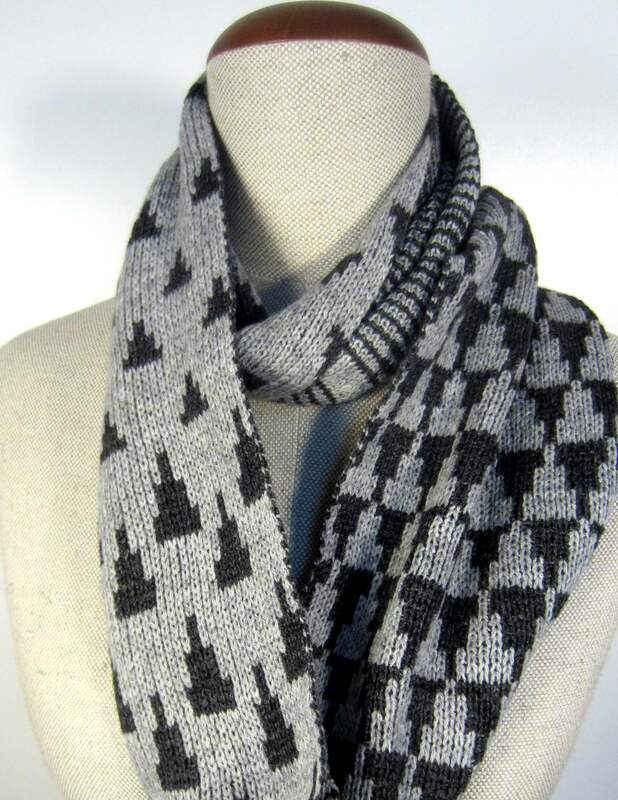 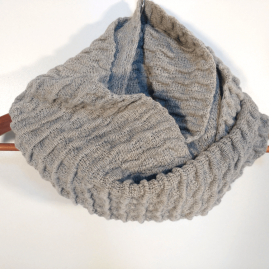 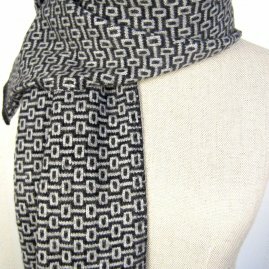 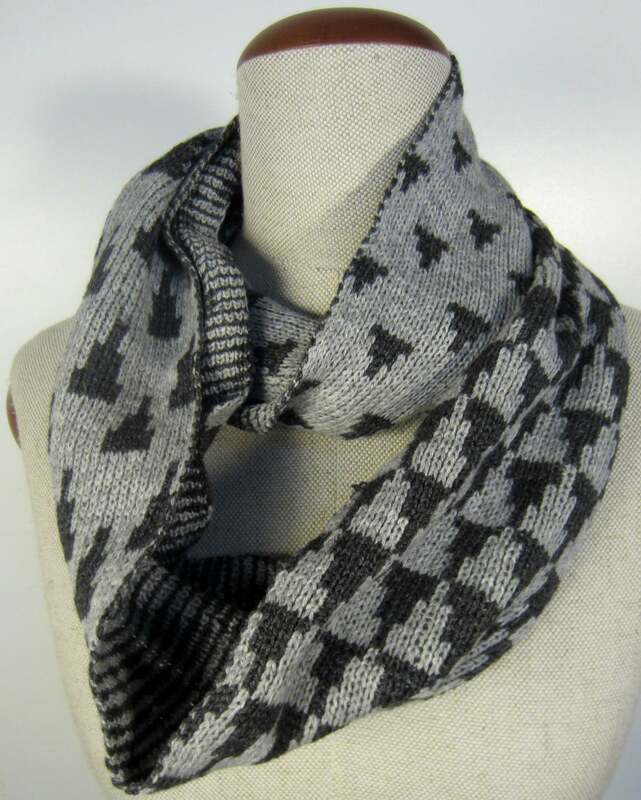 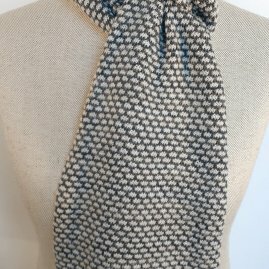 Zig-zag patterned knitted infinity scarf. 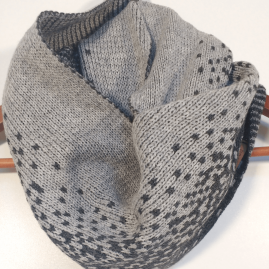 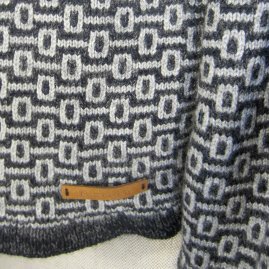 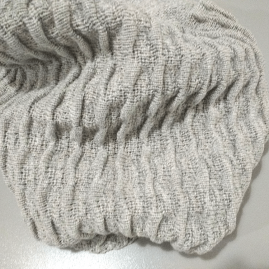 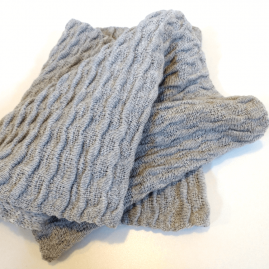 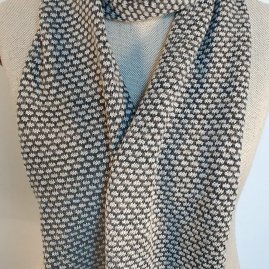 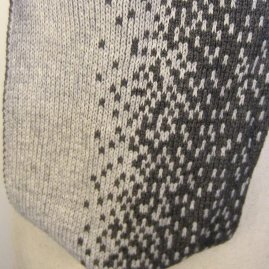 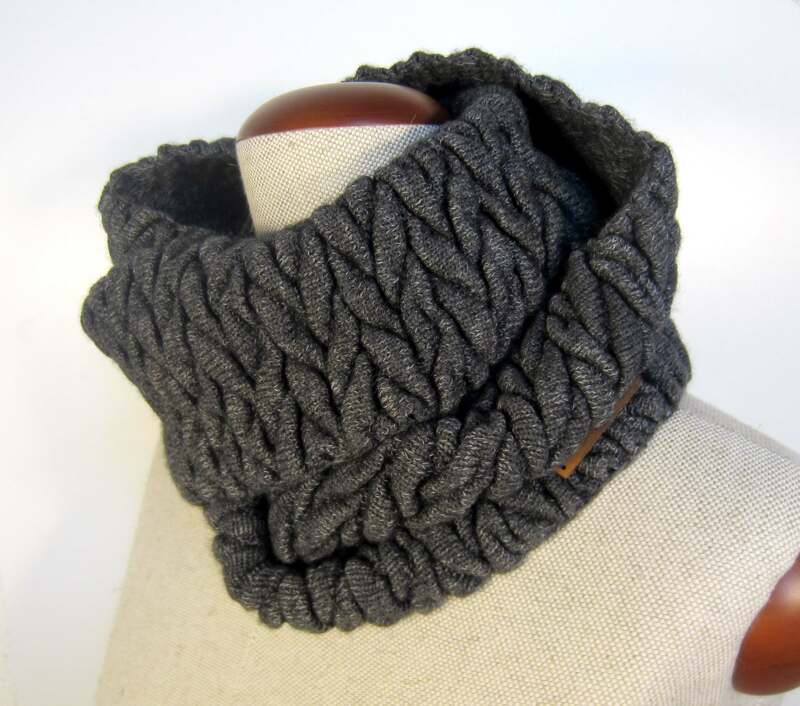 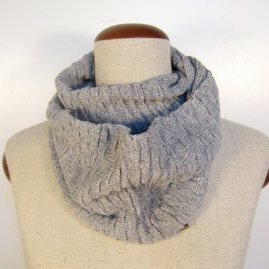 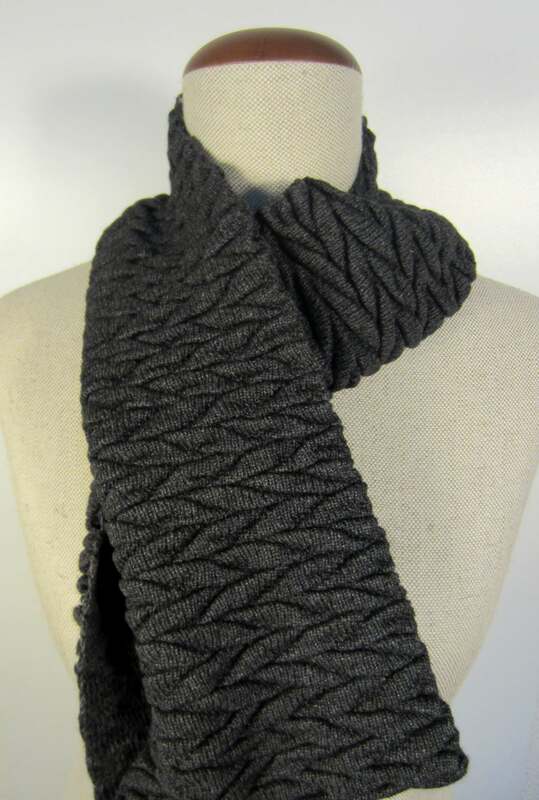 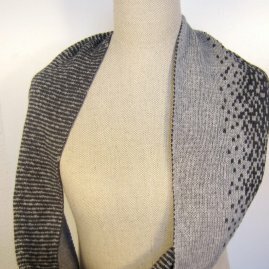 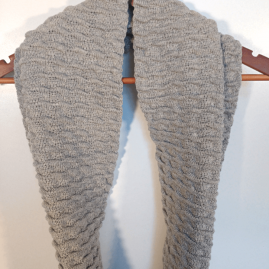 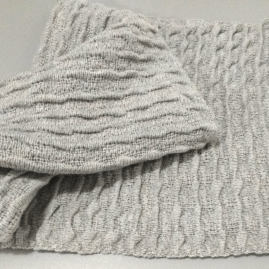 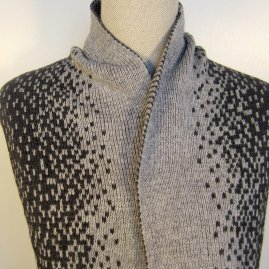 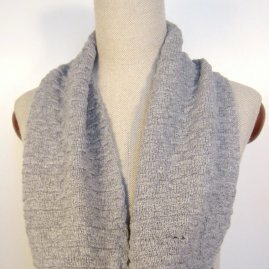 Made on a lovely cashmere – merino melange yarn in colours light grey – dark grey. 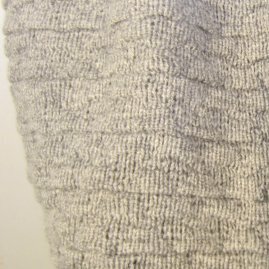 Due to the careful yarn of choice it is really soft to the touch. 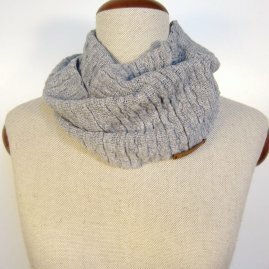 It is really comfortable to wear, light and warm and can be used year round. 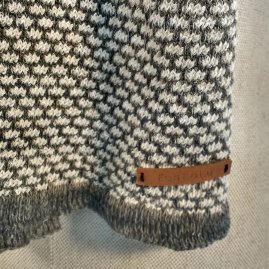 Handmade with high quality yarn, made to last.